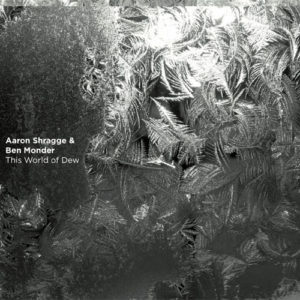 The music that Aaron Shragge and Ben Monder make as a duo is ghostly and conceptually appears to reimagine hypnotic faux-electronic music on an electric one – Mr Monder’s guitar – and a range of acoustic winds – Mr Shragge’s mesmerising, Zen-sounding Japanese shakuhachi, his Dragon Mouth Trumpet and the flugelhorn. Those listening to these musicians for the first time might assume – from this album – that the relatively exotic nature of Mr Shragge’s instruments shapes this music, but that assumption couldn’t be further from the truth. In point of fact Mr Monder’s long, echoing notes have just as much to do with the mesmerism of this music as Mr Shragge’s haunting whispers and wails. Whether he is playing shakuhachi, the Dragon Mouth trumpet or flugelhorn, the horns and shakuhachi are played with the tantalising tone of a snake charmer. Meanwhile Mr Monder’s lonesome guitar warbles and wails lend an eerie dimension to the music thanks in turn to his luminous phrases; a prism for Mr Shragge’s improvisations to pass through. Minimalist and almost anthemic the sonic architecture of this music ascends constantly often without ever finding resolution, like a mesmerising drawing by Maurits Escher. The title of the recording The World of Dew is wholly appropriate and the music brilliantly unfolds like Japanese water colours awakening in moist shapes and designs on newly soaked paper. Magically, however, these notes that represent how this music will unfold come alive with each sound, leap off the page and animate the atmosphere of the listening room. Thus the world as envisioned by Mr Shragge and Mr Monder gradually comes into focus with each new song and seems to dissolve just as magically into the next one such as how “By Rain and Mud” dissolves into “A Tiny Boat” and so on.